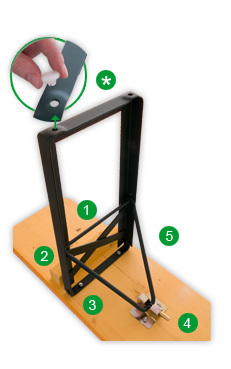 The stacking strips are bolted and glued from underneath (no drill holes on the surface). 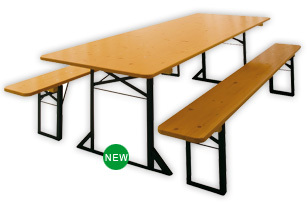 Tables with a width of 80 cm are supplied as standard with a wider sub-frame for greater strength. They nevertheless provide the same excellent legroom. Immersion painted pre-treated bases green (RAL 6005). 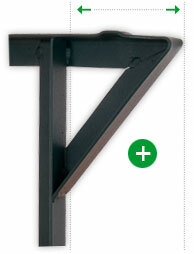 The base steel corner is the most stable on the market (test of structural analysis on request). 3 times more resistant to deformation than conventional steel plates.